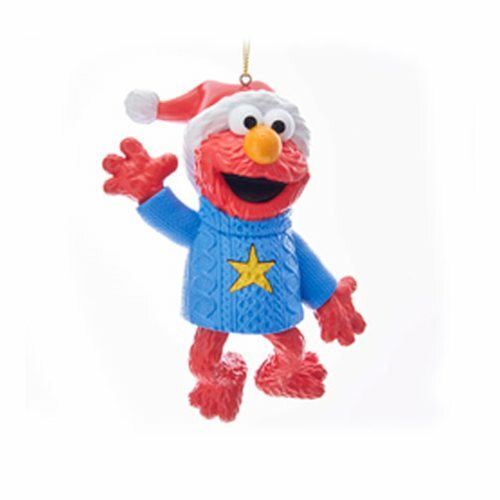 This Sesame Street Elmo Electronic 4-Inch Ornament is a unique addition to any holiday décor or Christmas tree. Elmo is featured wearing a blue sweater with a star and Santa hat. The ornament is made of plastic and glass, with light and sound features. Perfect for Sesame Street fans of all ages.